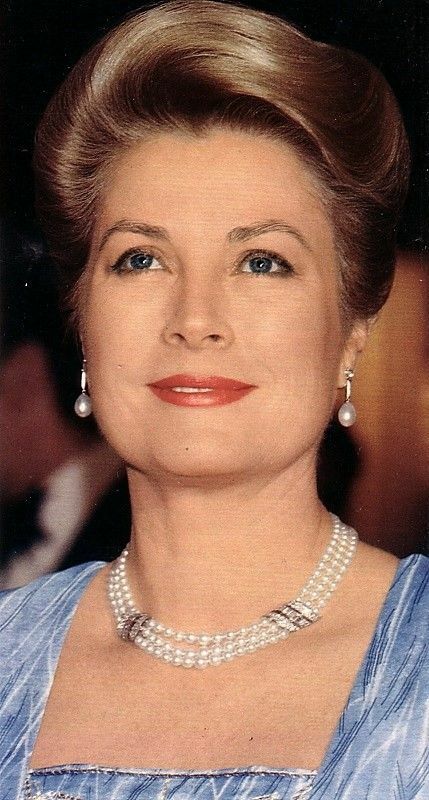 I seem to remember an incident with Princess Grace in Ocean City from I guess the late 1970s or early 1980's. Ocean City, New Jersey is a rather quiet seashore town. You would *not* find anyone from that horrible show "Jersey Shore" there, particularly as it was founded and remains a dry community. The Kelly family, in common with many families from Philadelphia, had a summer place "down at the shore;" some, more luxurious than others. Her family had a place there, but she had not been even a part time resident for quite some time. When visiting family there, she and I think Fat Al and Stephanie went to the beach. They lacked the seasonal beach tags that permit one to be on the beach at Ocean City. She and her family were challenged for the beach tags and they pulled a variation of DYKWIA....the response was, yes, and you still need a beach tag. Ugh! Not even royalty can escape the dreaded beach tags!! Yes, my maternal aunt & uncle had a place there that they sold about 5 years ago, and my father used to spend summers there with his own aunt. The beach tags were the bane of their existence starting in the 1970s. My cousin used to collect them and did a wall in his room by shellacing them in place year after year. My father did particularly enjoy that story about Princess Grace, I must say. I stil hope the movie is good, because Olivier Dahan directed La Vie en Rose. I hope the movie is good too. The choice of actors is madness to me !!! Nicole is too old and not the same type of natural beauty. Tim Roth's smouldering dark eyes and olive skin - where are they??? If they had to choose an older Australian - why not Sarah Murdoch? If they had to choose a completely different look - why not a young American actress with the correct accent? The casting is I think January Jones would be a good choice for Grace Kelly. No idea about who should play Rainier. 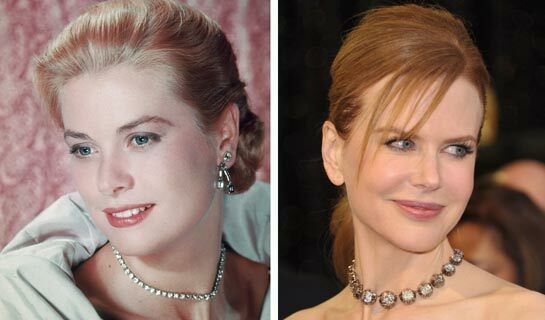 Nicole Kidman is waay too long in the tooth at this point to play an early-thirty something Princess Grace. What the hell??! 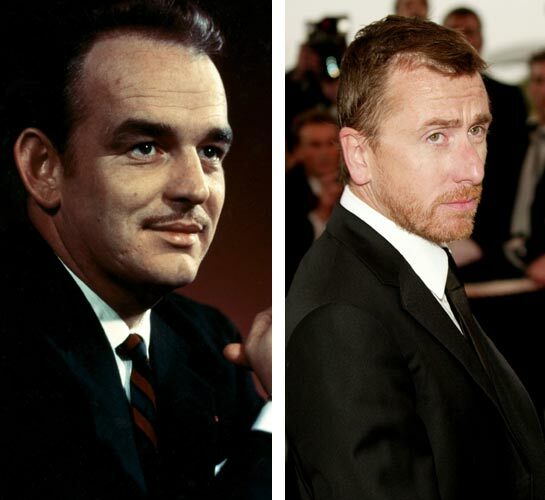 And as others as have said, the actor is not swarthy or "Med" looking enough to play Rainier. Another casting I dun get or agree with, after Naomi Watts as Diana. Wtf?? Found this article from the first author to interview Princess Stephanie about the tragic stroke, automobile crash and death of her mother. It's long, but interesting. I know the Monaco crowd gets a lot of flack due to their lazy lifestyle, but one thing I have always admired is how close they seem to each other. October 23, 1989 | From Rainier and Grace: An Intimate Portrait 1989 by Jeffrey Robinson. On Sept. 13, 1982, Princess Grace of Monaco was killed when the car she was driving somersaulted over a cliff. Her daughter, Princess Stephanie, who was with her, had not spoken on the record about the crash until an interview with author Jeffrey Robinson for his book, ``Rainier and Grace: An Intimate Portrait.`` She recounts the accident in this excerpt from the book. would start school on Wednesday. While Grace was getting ready to leave for the palace, her chauffeur brought the 11-year-old metallic green Rover 3500 out of the garage and parked it in front of the house at Roc Agel, the royal family`s farm, in the hills above Monaco. When Grace came out of the house, her arms were full of dresses which she spread flat across the rear seat of the car. A maid followed with other dresses and large hat boxes, and together they filled the rear seat. Then she called for Stephanie. Grace`s chauffeur was standing by the car, ready to drive the two of them to the palace. Grace didn`t much like driving and didn`t do a lot of it, although she liked the Rover. There wasn`t a lot of mileage on it because she didn`t use it much. Still, she always insisted it be well maintained. It hardly, if ever, went any farther from the palace garage than Roc Agel. And even then it usually was driven by a chauffeur. Now, however, with the back seat covered, there wasn`t room enough for Grace and Stephanie and a chauffeur. Grace told her chauffeur that it would be easier if she drove. He said that there was no need for that. If she left the dresses there, he would drive her down and then come back for the clothes. She said, no, please don`t bother, she would drive. He kept trying to persuade her, but Grace insisted. So Grace got behind the wheel, and Stephanie climbed into the passenger seat. At about 10 a.m. they pulled away from Roc Agel. The road from the farm winds down the hill and into La Turbie. The road from there down to the Moyenne Corniche, which takes you into Monaco, is called the D37. Approximately 2 miles from La Turbie, there is an especially steep bend where you have to brake very hard and steer carefully to follow the road 150 degrees to the right. The Rover slammed into the small retaining wall and went through it. The car somersaulted as it crashed 120 feet through branches of trees, careening off the slope, tossing Grace and Stephanie around inside. The accident that claimed the life of the former Grace Kelly captured the attention of the world. Nearly 100 million people watched the funeral of the former American movie star on Saturday, Sept. 18: Her husband, Prince Rainier, in his uniform, shattered with grief, his oldest child, Caroline, veiled in black, reaching out to touch him. His son, Albert, walked at his side, holding his father`s arm. Stephanie, the youngest of Grace and Rainier`s three children, was not present at the funeral. Still hospitalized for minor injuries from the accident, she wasn`t told of her mother`s death until two days after the crash. Caroline is the only member of the family to have discussed with Stephanie what happened in the car that morning. ``Stephanie told me, `Mommy kept saying, I can`t stop. The brakes don`t work. I can`t stop.` She said that Mommy was in a complete panic. Stephanie grabbed the hand brake. She told me right after the accident, `I pulled on the hand brake but it wouldn`t stop. I tried but I just couldn`t stop the car.` `` Stephanie, now 24, says she has never discussed the accident with her father or brother. Some people close to the family say they think that Stephanie has since blocked the accident out of her mind, that she remembers nothing of what happened. This is not the case, she said in a taped interview. Family members recall that Grace was tired at the end of that busy summer. They remember her being irritable, suffering from high blood pressure (later published reports quote her doctors as saying that she did not have high blood pressure) and going through menopause. Somewhere along the road Grace complained of a headache, Stephanie said. It continued to bother her as they headed down the hill. Then suddenly a pain shot up through her skull. For a fraction of a second she seemed to black out, Stephanie recalls. The car started to swerve. When she opened her eyes she appeared to be disoriented. In a panic, she jammed her foot on the brake. It appears now that she probably missed the brake and hit the accelerator instead. A witness to the accident said that he was 50 yards behind the Rover, nearing that very steep, sharp curve, when he saw the Rover swerve violently, zigzagging across both lanes. Then the car straightened out and shot ahead very fast. He knew the road and knew that the bend was coming up and, in those two or three seconds when he didn`t see any brake lights on, he realized what was going to happen. Stephanie says she`ll never know for sure if her mother mixed up the accelerator and the brake pedal or just didn`t have the use of her legs. But when the police investigated the accident and checked the road, there were no skid marks. The gardener who heard the car crash onto the property where he was working said in numerous press interviews that he pulled Stephanie out of the driver`s window, giving the impression that Stephanie had been driving. However, Stephanie recalls it differently. ``I found myself huddled under the space below the glove compartment. I lost consciousness as we fell down. I remember hitting the tree and the next thing I remember is waking up and seeing smoke coming out of the car. I thought the car was going to blow up. It was several minutes before anyone understood her and several minutes more before they believed her. Grace had been tossed into the rear of the car, shoved into the back seat and pinned there by the steering column, which opened a severe gash in her head. She appeared to be conscious but was covered in blood. Early reports indicated that the accident was caused by brake failure. However, Rover engineers flown in to check for mechanical failure or possible sabotage found no mechanical failure. French investigators concluded that the accident occurred when Grace blacked out and lost control of the car. But years later, some doubts about Grace`s death remain, fueled by tabloid press speculation about various plots and conspiracy theories. He stopped for a moment, shook his head, then continued. ``When the press makes up a story about the Mafia wanting to kill Grace, though I can`t for a moment see why the Mafia would want to kill her, if there was some interpretation that seemed even only minutely possible, I`d say, all right. But when they keep rehashing the story that Stephanie was driving and they know it`s not true, when they know it`s been proven that she wasn`t driving, it hurts all of us. Stephanie reacted to the accident by ``dropping out,`` spending most of her time with her boyfriend at the time, Paul Belmondo, son of French actor Jean Paul Belmondo. She told her family that she didn`t want to go on to university. But in the autumn of 1983 she enrolled in a fashion course in Paris. Afterward, Marc Bohan hired her as a design assistant at Christian Dior. Then she started modeling to finance a bathing suit company. She and a partner successfully marketed a line of swimsuits under the name Pool Positions. An acquaintance offered her a chance to make a record, and her song, ``Irresistible,`` shot to No. 1 in the French charts, selling 1.3 million copies in Europe in the first 90 days and five million to date. In October, 1986, she decided to move to the United States, partly because of pressure and criticism she perceived in the wake of her recording success, but also because of residual feelings from the accident. ``There was a lot of pressure on me because everyone was saying that I had been driving the car, that it was all my fault, that I`d killed my mother,`` she says. ``It`s not easy when you`re 17 to live with that. ``There was so much magic that surrounded Mom, so much of that dream, that in some ways she almost stopped being human. It was difficult for people to accept that she could do something so human as to have a car accident. People figured I must have caused it because she was too perfect to do something like that. After a while you can`t help feeling guilty. ``Everybody looks at you and you know they`re thinking, `How come she`s still around and Grace is dead?` No one ever said it to me like that, but I knew that`s what they were thinking. I needed my mother a lot when I lost her. And my dad was so lost without her. I felt so alone. I just went off to do my own thing.`` Making Mom proud…She is now trying to begin a movie career. ``If I`d have chosen to be a performer while my mom was still alive, I know she would have been proud of me,`` Stephanie says. ``The only problem is that she would have wanted to go to every reading with me. I don`t know where I`ll be in 10 years, hopefully living between California and Monaco. Maybe I`ll be shooting a movie or maybe I`ll have two kids. I don`t know. Thank you for posting this interview, lellobeetle. It was extremely interesting. I've always wondered what happened on that occasion and now I know. Such a tragedy. Grace never knew the joy of seeing grandchildren grow up, of seeing how her children developed in later life, or had a serene old age herself. If the chauffeur had driven everything would have probably been OK. That's fate I suppose. QVC had a show last night selling jewelry based on Grace Kelly’s jewelry recreations. Sounds like they worked with the palace to choose which pieces. Not sure of the quality but the prices seemed Uber reasonable. If you would like to see them you can check out the QVC website. They even had the pearl necklace seen above. I have quite a few pieces of jewellery from this range. If you are in the UK they are heavily discounted from what I orginally paid last year. Or you can buy them from their website direct but you will incur custom charges. The pieces I’ve got (earrings and necklaces only) are magnificent, great quality. If I could recommend a piece it would be the Gina earrings. They are quite big and look very impressive (and expensive I’m told). Very good quality. Never heard about this, but then there're a lot of things I know nothing about. But I'd think Princess Grace did not have much say in naming the heir to the Monegasque throne, not in those days I'd imagine. Still, who knows? Anyway, Gregory it was not. I would doubt it as she was a close friend of Gregory Peck so it might seem odd to name your son in such a way, especially as one day he would be ruler. I can’t find anything else about this online but that doesn’t mean it isn’t true. Just, in my opinion, I don’t think it is.